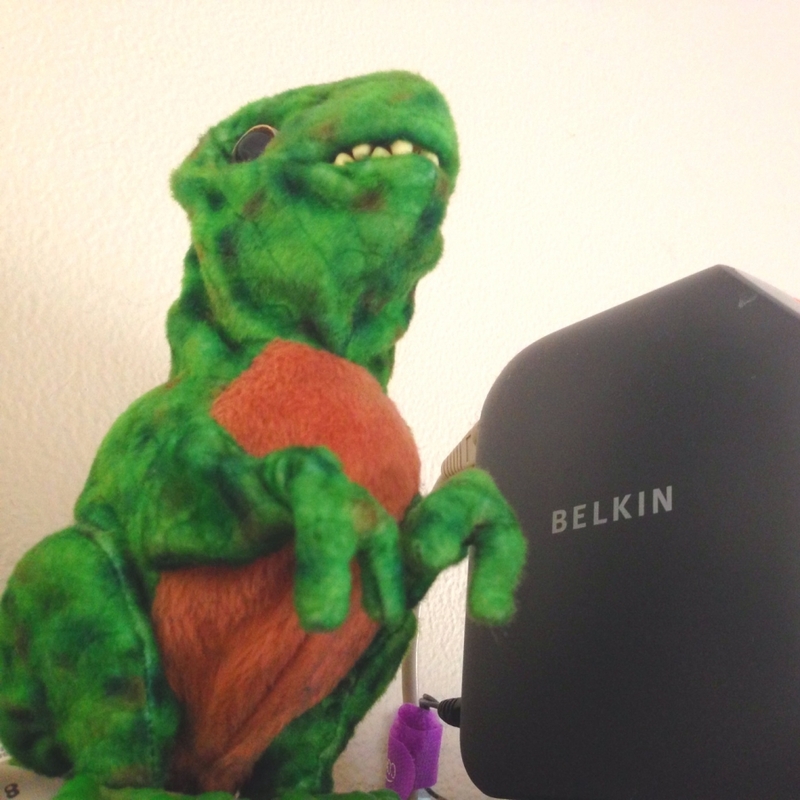 Chompy the dinosaur guards our wifi. This entry was posted in Photography, photography and tagged chompy, dinosaurs, network, Security, WiFi. Bookmark the permalink.